Teacher Appreciation is next week! I hope you have been following along all month long for these amazing Teacher Appreciation ideas. Not only are these ideas great for teacher appreciation week but they make great end of the year Thank you gift ideas too! I appreciate a good teacher so much, that is why I am so passionate about making them feel special and appreciated. No matter how simple your idea, make sure you take a minute to say thank you to a teacher next week! 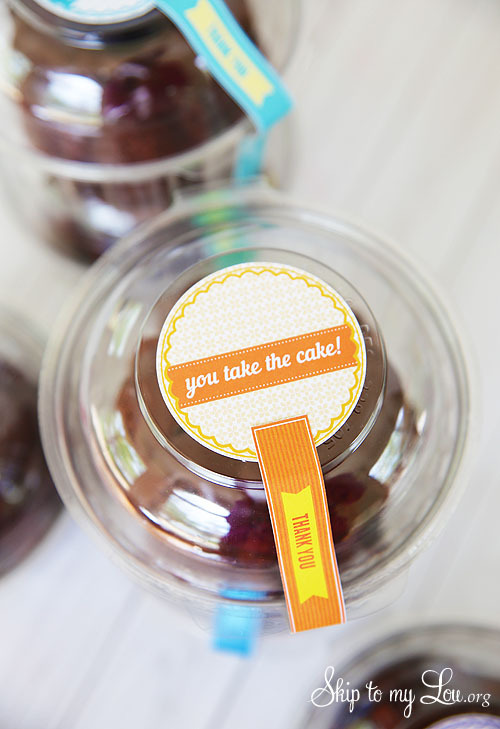 This free printable You take the cake idea below would be a sweet way to do that. Print the PDF in color on full sheet label paper. It printed best when I emailed the file to my local copy shop and had them print. 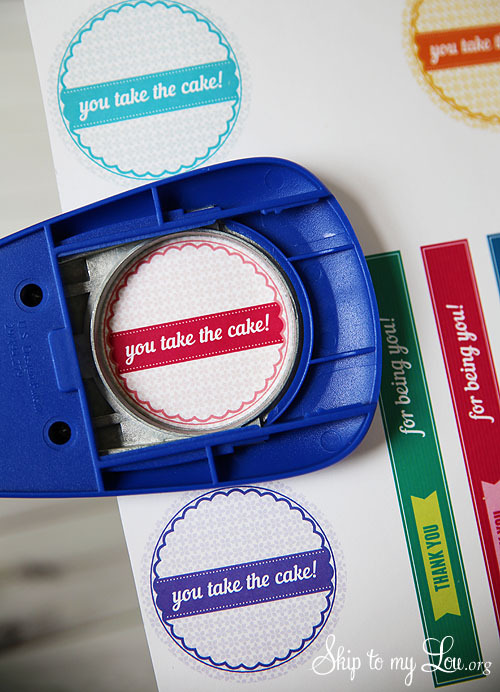 Cut “you take the cake” labels out with a 2″ circle punch. 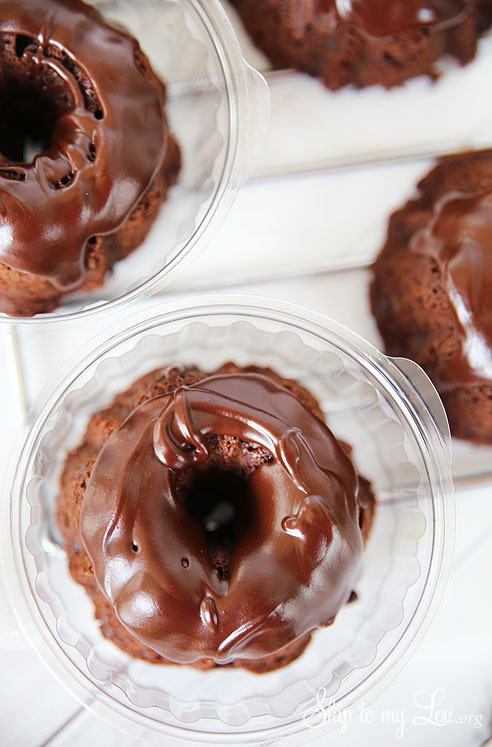 Make delicious mini Bundt cakes! 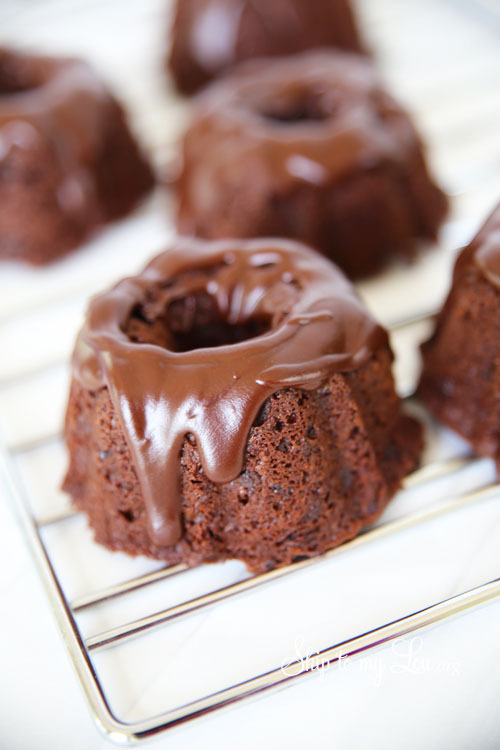 I made double chocolate Bundt cakes in a Bundtlette pan. YUM! I think you will love this recipe. You might also like these bundt cakes with an easy buttercream. 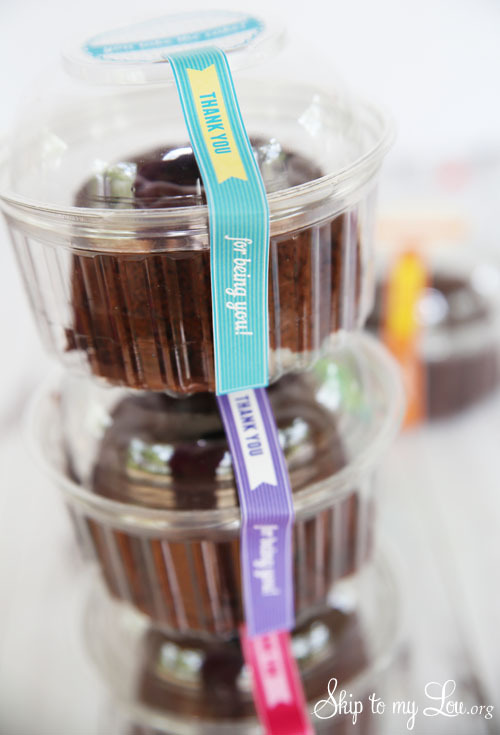 Place the mini Bundts into plastic single serve containers. Add labels and you have a darling teacher appreciation gift or a fun way to tell a friend how special they are! 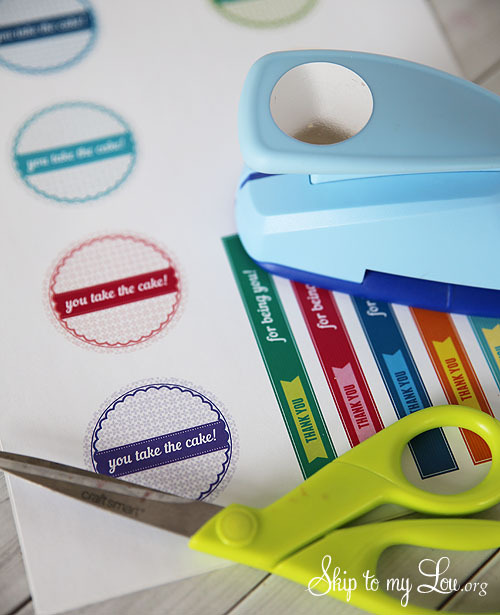 The labels would be great for any cake or cupcakes. Print on cardstock to make cute tags and attach with ribbon! This idea is also perfect for Moms, Dads, and Grads. It makes a sweet thoughtful gift! Hi, I don't see the link to download this very cute file. Thank you!